I don't really get nice fall color except for a couple of pretty trees in my yard and they turn just before Christmas. Last year I got a very nice photo and the blues and corals were perfect for the Scraptastic Club November Feels Like Home kits. 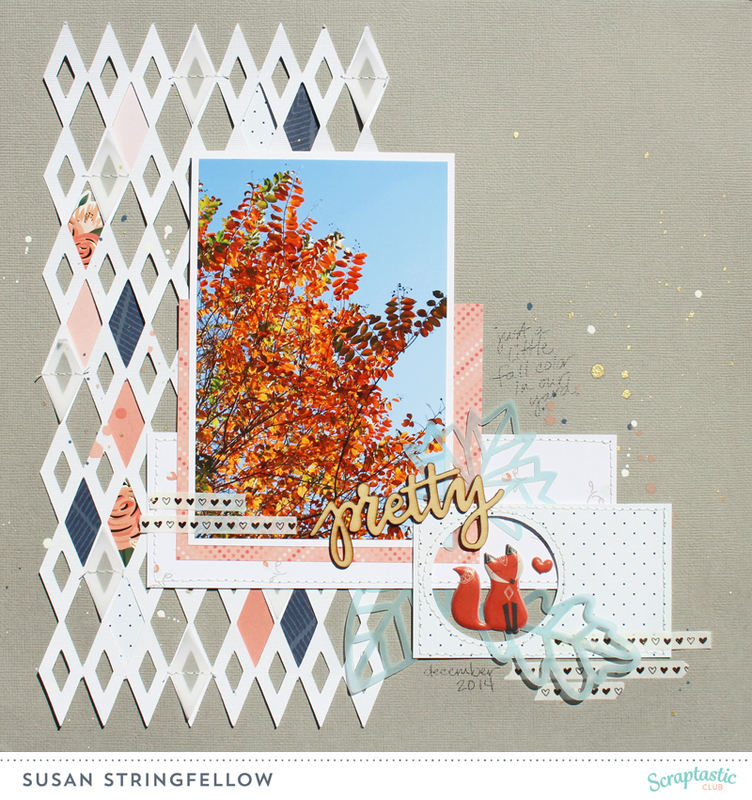 I used the Feels Like Home Kit, Add on Kit, and the Aint No Sunshine Digital cut file. 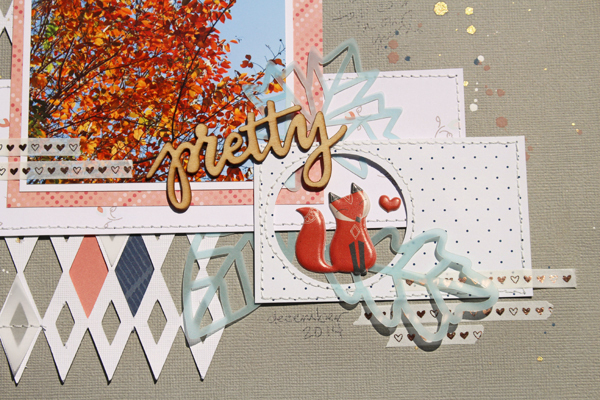 I just love the metallic washi tapes in this kit, but the puffy fox has to be my favorite thing.